Nobles Funeral Home and Crematory announces the services for Sherry Ann Harmon Roach, age 58, who passed away Tuesday, June 26, 2018 at St. Joseph’s/Candler Hospital in Savannah. 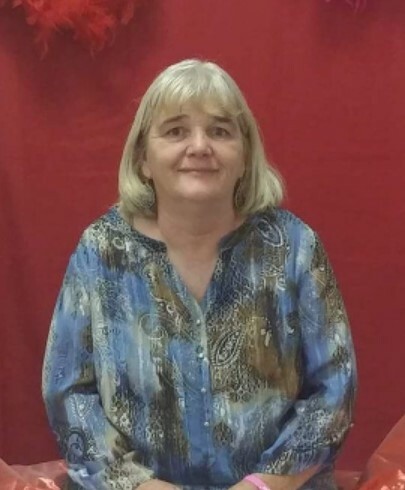 She was a lifelong resident of Appling County and a member of Consolation Baptist Church. Mrs. Roach was a seamstress with Baily Boys Manufacturing and an employee with The Baxley News Banner. Survivors include her husband of almost 40 years, Ronnie Roach of Baxley; one son, Joey Roach of Baxley; one daughter, Crystal Roach of Baxley; six grandchildren, Kailee Leggett, Chelsey Leggett, Abram Roach, Theodore Roach, Layla Shipes, Riley Fennell all of Baxley; two brothers, Thomas William Harmon of Baxley and John Priest of Carrollton, GA; five sisters, Rose Hughes, Linda and George Herndon, Tina and Jerry Rozier, Cindy Causey and Pamela and Robert Cranson all of Baxley; sister in-law, Tracy Roach; a special friend, Hilda Waters of Baxley and several nieces and nephews. Funeral services will be held Thursday, June 28, 2018 at 2pm at Nobles Funeral Home Chapel with the Reverend Rick Brown and Reverend Paul Dubberly officiating. Interment will follow in the Surrency City Cemetery. Visitation will be held on one hour prior to funeral services at the funeral home. Active Pallbearers will be Rex Hughes, Thomas Hardwick, Pebo Hughes, James Roach, Jonathan Reese and Thomas William Harmon. The family will be gathering at the home of Jerry and Tina Rozier at 249 Patterson Road, Baxley, GA.